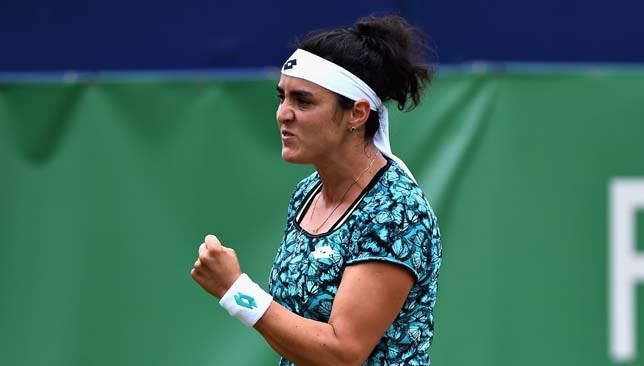 Ons Jabeur’s history-making week in Moscow continued with yet another big scalp taken down by the Tunisian qualifier, who became the first Arab woman to reach a WTA final with her victory over fifth-seeded Anastasija Sevastova on Friday. Jabeur, who has now won seven consecutive matches in the Russian capital through qualifying and the main draw, knocked out three top-eight seeds so far this week – No. 3 seed Sloane Stephens, No. 8 seed Anett Kontaveit and Sevastova – and will be searching for a fourth victory against seeded opposition when she takes on No. 6 Daria Kasatkina in Saturday’s final. A former French Open junior champion, Jabeur has dazzled this week with a combination of an aggressive game, mixed with her deft touch and signature drop shots. She came back from a break down twice in the final set against Sevastova on Friday, to defeat the top Latvian 6-3, 3-6, 6-3. The world No. 101 will rise to at least 63 in the rankings on Monday, which would make her the highest-ranked Arab woman in the history of the WTA. Success over home favourite Kasatkina would see Jabeur crack the top-50 for the first time. In a highly-entertaining affair that saw Jabeur hit two tweeners, the North African fired 45 winners to oust Sevastova and make her maiden WTA final appearance, at a Premier-level tournament no less. Through her seven matches in Moscow so far, Jabeur has spent a total of 8hr 48 minutes on court. Despite playing seven days in a row, the 24-year-old feels ready to bring her A-game against Kasatkina. “I’m okay. I was expecting myself to feel more tired but actually I’m feeling better, I’m good. Hopefully we’ll see tomorrow how I’m going to wake up but I hope I will have the energy to finish and have a great match tomorrow. I made it to the final so why not finish with a good result?” said Jabeur. The affable Jabeur had a tough start to her Moscow qualifying campaign, dropping her first set to Fanny Stollar before recovering to win in three sets. She also had a tight clash with Britain’s Harriet Dart that ended in a final-set tiebreak. She went from strength to strength from then on, upsetting 2017 US Open champion and world No. 8 Sloane Stephens in her second round, which was Jabeur’s third career top-10 victory. She is now 4-7 against top-20 opposition and sports a unique game that can trouble many big guns in the future. She’s been putting impressive numbers this week, leading the field in aces (21), first-serve points won (77.1%), service points won (64.2%), and service games won (82.9%). The final promises to be a hot-shot filled extended highlight reel with both Kasatkina and Jabeur renowned for their on-court creativity. Kasatkina could secure a top-10 debut if she wins the title, and she’s searching for her first trophy on home soil. The pair often spend the offseason together training in Slovakia, and trade jokes and trash talk, especially when their respective favourite football clubs – Real Madrid for Jabeur and Barcelona for Kasatkina – face-off. The 14th-ranked Kasatkina, who also made the final in Moscow last year, losing to Julia Goerges, is 1-0 against Jabeur, haven beaten the Tunisian at the Rio Olympics in 2016, in three sets. Kasatkina advanced to Saturday’s title decider by defeating Britain’s Johanna Konta 6-4, 6-3. Jabeur is looking forward to facing Kasatkina and her home crowd. Gerard Pique hopes Rafael Nadal and Novak Djokovic will both play in the reformed Davis Cup next year. The Barcelona star also insists that the “door remains open” to Roger Federer. 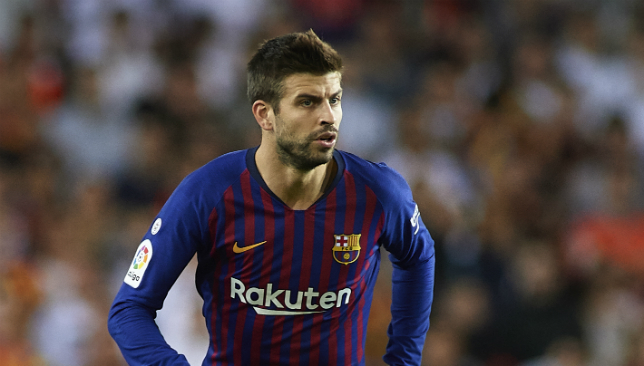 “I have spoken with all those players,” Pique said on Wednesday. “With Rafa it is very positive, if he does not have an injury he will be there. Federer however, is unlikely to participate as the 37-year-old carefully selects his tournaments these days, prioritising the four Grand Slam events. Another big scalp: For Ons Jabeur. Tunisian qualifier Ons Jabeur reached the first Premier-level quarter-final of her career by taking down world No. 8 Sloane Stephens in straight sets at the Kremlin Cup in Moscow on Wednesday. It was Jabeur’s third top-10 victory of her career, and second in her last three tournaments, after she beat world No. 1 Simona Halep 6-1, ret. in Beijing earlier this month. Playing her fifth match in Moscow in as many days, Jabeur knocked out the third-seeded Stephens 6-3, 6-2 in 62 minutes. The 24-year-old converted four of the six break point opportunities she created against Stephens, winning an impressive 48 per cent of her return points. Mixing up her powerful groundstrokes with some signature drop shots, Jabeur outplayed the 2017 US Open champion, who committed 24 unforced errors against just 11 winners. “I’m really happy, especially after many matches I played in here. 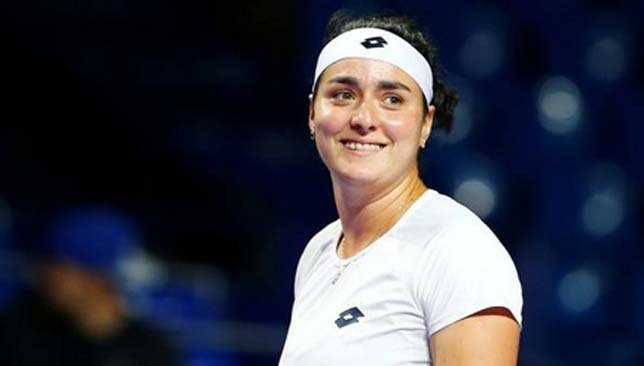 Moscow is great to me, hopefully I can continue playing this way and maybe do my best in this tournament,” said Jabeur, who finished the contest with 24 winners off of her racquet. “I want to thank all Tunisians who are here, I’m really happy, it feels like home. Also I want to thank the Russian fans, they’ve been supporting since the beginning of the tournament. I’m trying to learn some Russian now and hopefully by the end of the tournament I’ll be speaking good,” added Jabeur, whose husband and fitness trainer, Karim Kamoun, is half-Russian. The pair exchanged breaks early in the first set before Jabeur broke again and consolidated for a 4-1 lead. She maintained her advantage and secured a one-set lead in 33 minutes. Jabeur broke to start the second set and went up a double-break with a brilliant down-the-line winner to edge ahead 5-2. She served out the match in the next game and moved into the last-eight when a forehand from Stephens sailed long. The Arab No. 1 next takes on recent Wuhan runner-up Anett Kontaveit, who overcame a second-set deficit to defeat Frenchwoman Kristina Mladenovic 6-2, 7-6(3). Jabeur looked in pain during the match against Stephens, as a sudden movement appeared to have caused a problem in her back but the Tunisian is hopeful it is nothing serious. “I’m going to see after with my physio, but hopefully nothing is serious. Maybe it’s from the fatigue from all the matches I played. It was a sudden move, so hopefully some good stretching will help me feel better for my next match,” she said. Jabeur, ranked 101 this week, is expected to hit a new career-high ranking following the conclusion of the tournament on Monday. She will rise at least 20 spots. Meanwhile, Stephens will head straight to Singapore where she will appear in the WTA Finals for the first time. The American has won just two matches in four tournaments since reaching the quarters at the US Open last month. She booked her ticket to the season finale in Singapore after a decent 2018 that saw her win Miami and reach the finals at the French Open and Montreal. Later in the day, Elina Svitolina and Karolina Pliskova completed the top-eight field qualified for the WTA Finals in Singapore after the latter and Kiki Bertens both lost their second-round matches in Moscow on Wednesday to Vera Zvonareva and Aliaksandra Sasnovich respectively. Svitolina and Pliskova join Halep, Angelique Kerber, Naomi Osaka, Caroline Wozniacki, Petra Kvitova and Stephens in the tournament’s final staging in Singapore before it moves to its new home in Shenzhen next year. With Halep’s participation in question due to her herniated disk injury, Bertens might still end up qualifying if the Romanian withdraws.